We are a maintenance mentoring and electrical & instrumentation consulting company located in Huntington, WV. Fischer Technical Services is a small engineering firm licensed by The West Virginia State Board of Registration for Professional Engineers. We have been providing cost effective plant maintenance and electrical & instrumentation consulting since 1979. If your company has reliability issues, technicians that need to improve their troubleshooting skills or inexperienced engineers, give us a no-obligation call to discuss how Fischer Technical Services can help. We have an engineer who lives "where the rubber meets the road." - Electrical & Instrumentation Manager, Vibration Analyst, Reliability Engineer, Water and Wastewater Treatment Supervisor and Maintenance Manager for the country’s largest activated carbon manufacturer. - Electrical Foreman, Electrical Superintendent, Senior Maintenance Engineer, and Plant Engineer for the leading designer and manufacturer of railroad cars. - High-Voltage Field Service Engineer for the most respected manufacturer of transformers and power distribution equipment for underground coal mines. - Refinery Instrumentation Specialist for a large electrical contractor servicing petrochemical refineries, terminals and tank farms. - Investigator for a geotechnical & forensic engineering company. - Electronics Technician, Engineering Aide and AN/PSS-11 Mine Detector Supervisor for Department of Defense contractors. - As a Fischer Technical consultant, he has provided engineering services to machine shops, steel fabricators, foundries, quarries, manufacturing companies, chemical plants, insurance companies and electrical contractors. He has developed and run craft training and apprenticeship programs, preventive and predictive maintenance programs and an award-winning labor-management safety committee. He was a major force in development and operation of a comprehensive reliability program that dropped one chemical plant’s emergency work to 4% and pushed the plant’s on-stream-factor to 99%. He mentors E&I technicians, maintenance craftsmen and engineers. Bob has designed and implemented a variety of plant expansion and automation projects. He was actually a pioneer in the development of robotic welding and robotic metal forging work cells. He has patents on a robotic safety appliance and on an electronic height control system for plasma cutting torches. Being considered an authority on both robotics applications and electrical engineering, he has made presentations to engineering, scientific and professional groups on topics in both fields. He has also represented companies before OSHA and other government agencies. Bob has worked on complex transient voltage and resonance problems with one of the nation's leading electrical power producers. Solving those problems caught the attention of the Electrical Power Research Institute. They invited him to present his work to the prestigious plenary session of the North American Power Quality Symposium. This was an international technology transfer conference jointly sponsored by the Electrical Power Research Institute and Electricite de France. Bob developed, and for many years instructed, a three credit-hour course in industrial robotics for Marshall University Community and Technical College. He has served as a member of curriculum advisory committees for the "Instrumentation & Control Engineering Technology" degree program at Shawnee State University, "Electronics and Biomedical Instrumentation Technology" degree programs at Mountwest Community & Technical College, and the "Mechanical Engineering" degree program at West Virginia Institute of Technology. He has also served as a Proctor for the International Maintenance Institute's certification examinations. 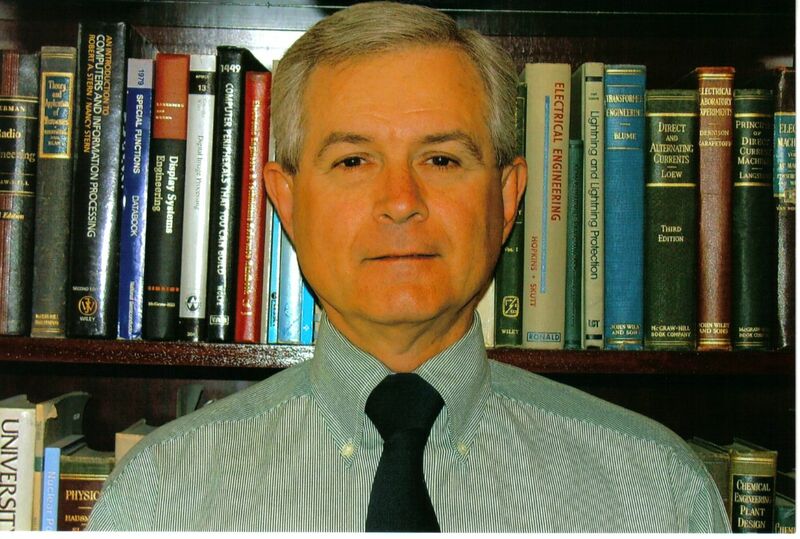 He is coauthor of a three-volume set of texts titled Pipeline Electrical & Instrumentation Trainee Guides. These texts are currently being used by the National Center for Construction Education and Research. They prepare technicians for tests leading to nationally-portable E&I certifications required by law for certain life-critical and environmentally sensitive work on interstate pipelines transporting hazardous materials. Bob Fischer's comprehensive education and work experience in the trenches provides him the ability to examine your problems from many different perspectives. He can work effectively with people at all levels of your organization. Our "Experience" page summarizes his areas of expertise from carrying tools to managing engineering & maintenance departments. Just give us a no-obligation call to discuss how we might be able to put this experience to work for you. Lynn Fischer is our Office Manager. She provides support for all office management, scheduling and accounting functions. Lynn attended Marshall University and retired from a career of more than 30 years with the Veterans Administration Regional Office in Huntington, WV. For more than half that time, she was Administrative Assistant to four different Area Directors. Since this was considered a small regional office, the VA utilized it as a “proving ground” for new directors. An important part of Lynn’s job was maintaining critical functions of the office during the periods of time when the new directors were being trained. Lynn became a master of planning and organization. For many years, she was the face of the office with West Virginia’s congressional delegations in Washington, DC. In addition to office management, she was in responsible charge of planning for all of the regional office conferences, banquets, and social functions. Lynn has supported the part-time work of Fischer Technical Services for over 30 years. Since 2011 she has taken a more active involvement in planning and scheduling business activities.